Schumann rapidly composed his Cello Concerto in only two weeks during an extremely productive creative phase. Its first performance was quite another story. Although the piece was written »first and foremost for this beautiful instrument«, so Schumann, no cellist showed any desire to perform the work in concert. Initially the cellist Robert BockmЯhl from Frankfurt had shown interest in the piece, but then declined to play it after Schumann had refused to comply with his wishes for certain changes. This led to the unfortunate fact that Schumann did not live to see the work’s premiere. Things went quite differently with Edouard Lalo, who described himself as a self-taught composer; an excellent cellist himself, Lalo could be sure that his work would be heard in the concert hall. Both works are connected by the pioneering attempt to establish the cello as a solo instrument in concert life in the 19th century. 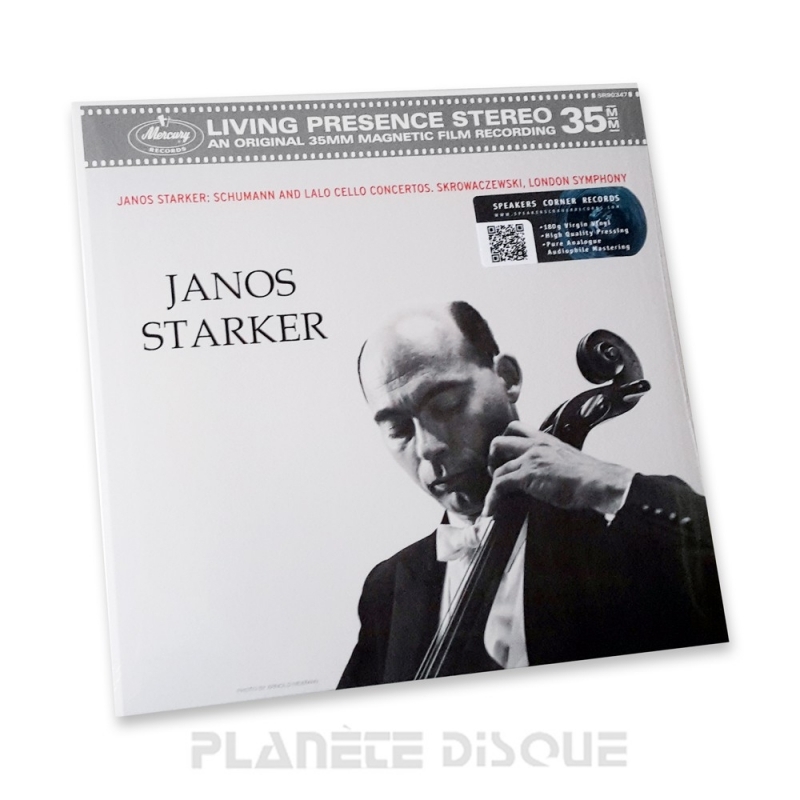 Right from the fifth bar of the Schumann concerto Janos Starker is able to display his mastership in the expansive main theme. He enjoys to the full the opportunities to explore the instrument’s range of tone and expression, and this he does with clarity and a full tone. In the Lalo too he demonstrates his absolute virtuosity: in the lyrical passages he delights us with a melting cantabile, in the Saltarello finale he demonstrates his perspicacity and fills the triumphant writing with elegance and tonal resonance. Luckily this music has found its way to one of today’s most outstanding cellists.